The Linksys Business Wireless-AC Dual-Band Access Point delivers the next generation of Wi-Fi technology (802.11ac) to provide faster speed and more Wi-Fi capability for your everyday business than ever before. It can be deployed as a typical access point, as a wireless distribution system (WDS), or as a workgroup bridge to extend your wireless range coverage. The Linksys Business Wireless-AC Dual-Band Access Point is integrated with 802.3at PoE+ capability to eliminate extra power adapters and offers optimal placement. It also provides an intuitive Web administrative interface, easy to set up and easy to use. 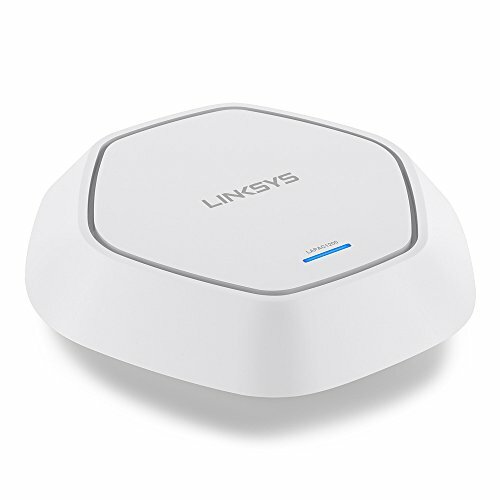 The Linksys Business Wireless-AC Dual-Band Access Point protects and secures your wireless network with business-class security features including Wi-Fi Protected Access (WPA/WPA2), 802.1X Supplicant Authentication, MAC-based ACL, Rogue AP Detection, SSID-to-VLAN Mapping, Wireless Scheduler, and more.